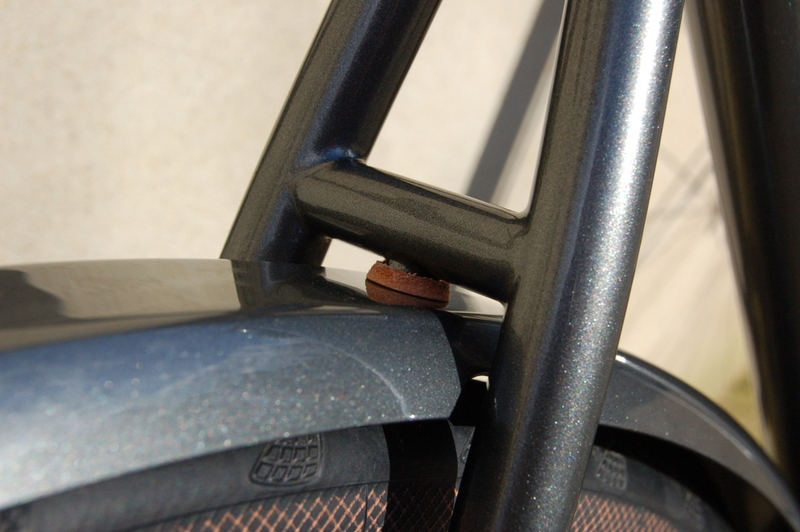 A straightforward and practical bike for riding on a whole range of surfaces. Mostly it'll be used for medium length urban and suburban trips, but also has the ability to work well in poor surface conditions. The bike will see duty as a tourer, so low maintenance and rider comfort are a priority. It's a bike for doing, not for showing. TIG welded Columbus Zona tubeset, with a cosmetic application of silver braze, creating the appearance of very small fillet joints. The frame is matched to a Kinesis CX Disc fork. TRP Spyres handle the stopping duties. Shimano's excellent 11-speed 105 groupset makes up most of the running gear. I also built the wheels, DT Swiss rims laced onto Hope hubs. The shifting cables are adjusted via head-tube mounted stops. 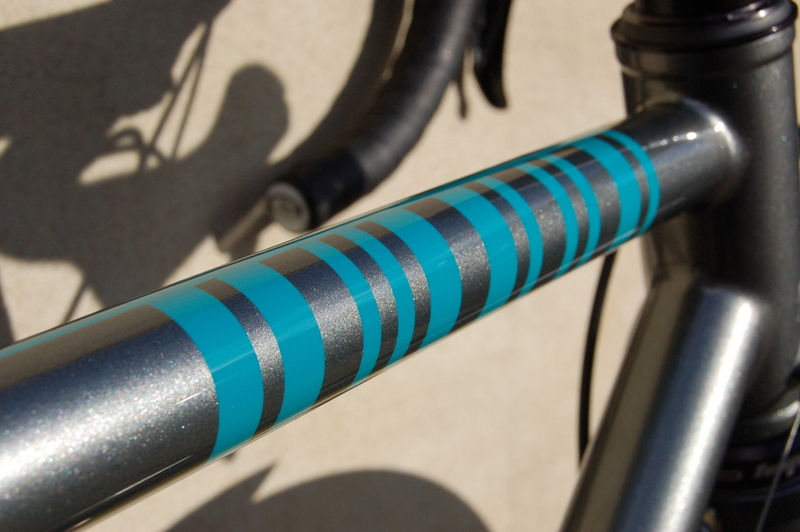 These give the additional benefit of stopping paint rub on the side of the head tube. The paint scheme is very discreet, a metallic grey with colour matched mudguards and fork. Munin is spelt out using a morse-code scheme on the top tube, and a brushed stainless steel head badge keeps things subtle.